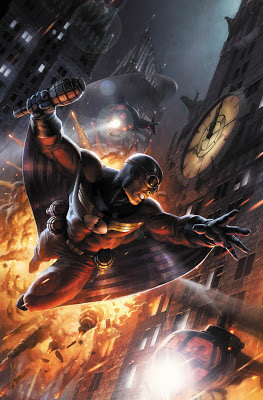 WWW.THE JOSHUA WILLIAMSON.COM: CAPTAIN MIDNIGHT ONGOING! My new series CAPTAIN MIDNIGHT will be an ongoing at DARK HORSE starting in July! Been having such a blast working on this book, it's been hard to not talk about it. Can't wait for it to get out there. It's great to write some fun pulp hero goodness. Can't wait to start really showing you what we've been doing with the character. ALSO! Check out the wall of heroes that was a ECCC this last weekend.